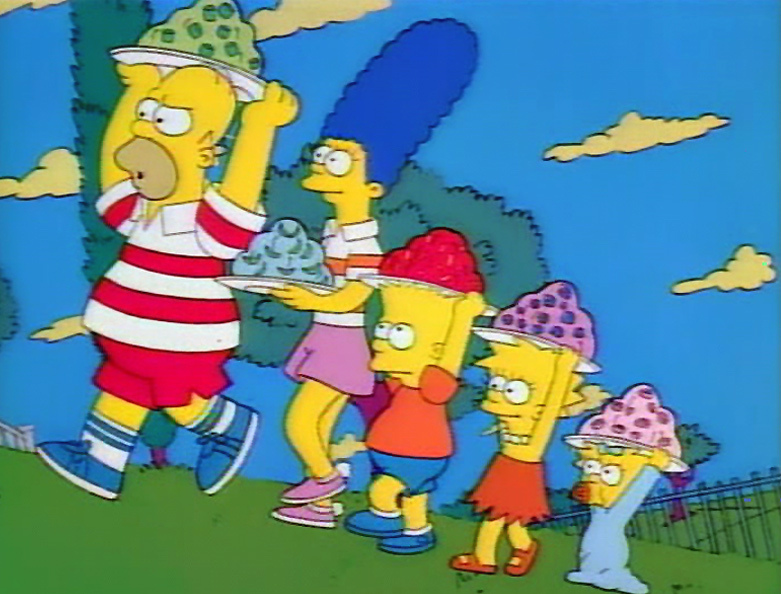 Homer takes his family to the company picnic given by his boss, Mr. Burns. A cruel and tyrannical employer, Burns fires an employee whose family members are not enjoying themselves. Homer sees that Burns is drawn towards a family that treats one another with love and respect and he wonders why he is cursed with his unloving and disrespectful family. 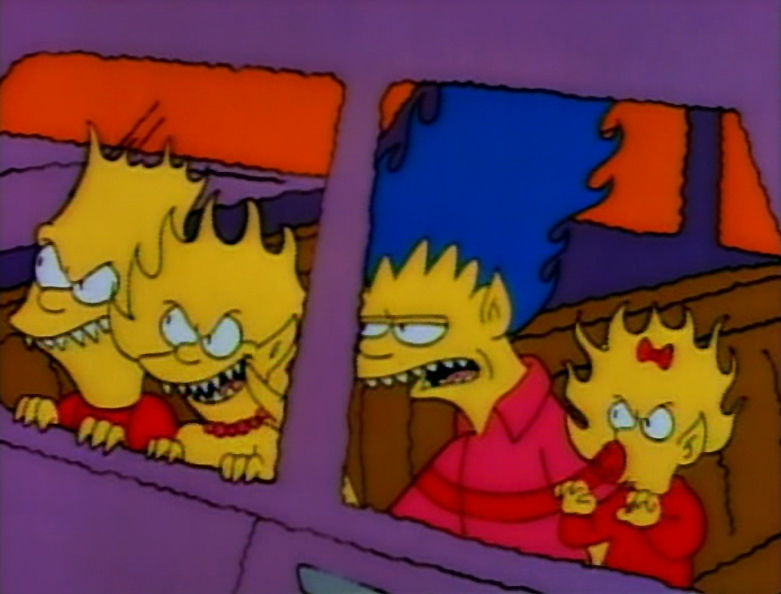 The Simpsons observe other families on their street. Peeking thorugh living room windows, they see happy families sharing quality time together. Convinced that both he and his family are losers, Homer stops by Moe's Tavern, where he sees a TV commercial for Dr. Marvin Monroe's Family Therapy Center. When he hears that Dr. Monroe guarantees "family bliss or double your money back," Homer pawns his TV set and enrolls the family in the clinic. 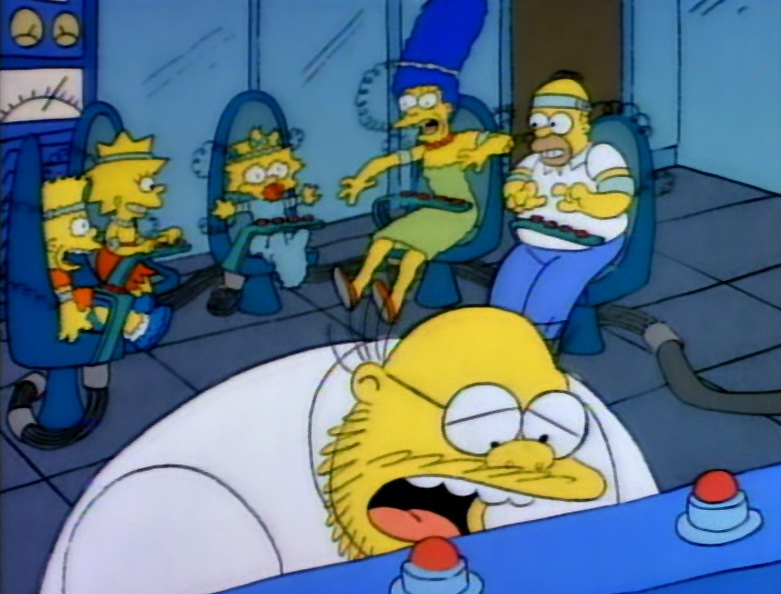 When standard methods prove useless in civilizing the family, Dr. Monroe resorts to shock therapy and wires the Simpsons to electrodes. Soon the whole family is sending shocks to one another. Resigned to the fact that the Simpsons are incurable, the doctor gives them double their money back. 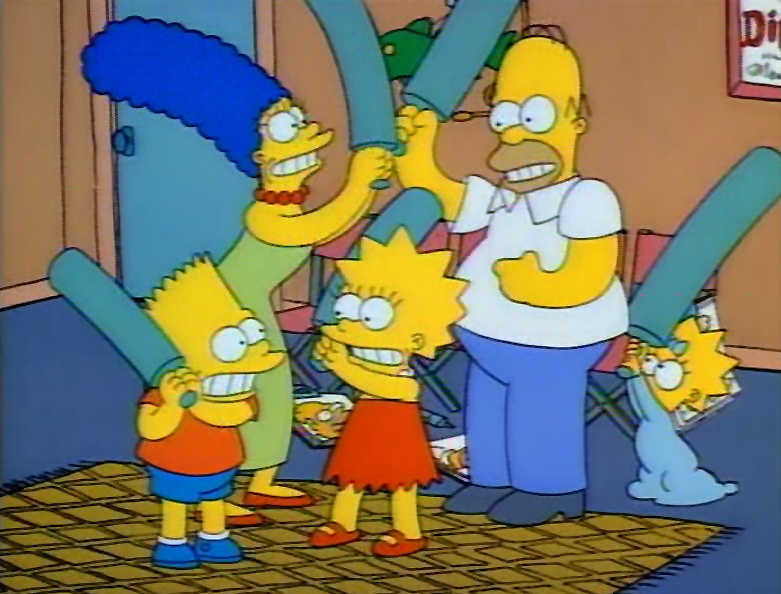 With $500 in his pocket, Homer takes his blissful family to buy a new television. I WILL NOT BURP IN CLASS. Bart's prayer at the table is "Rub-a-dub dub, thanks for the grub"